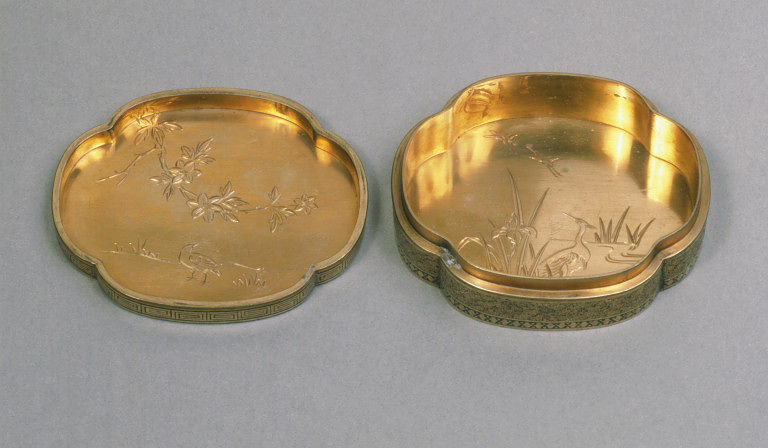 This box with cover is made of iron and richly overlaid with gold, representing, on the cover, a view of the Kiyomizu Temple at Kyoto. 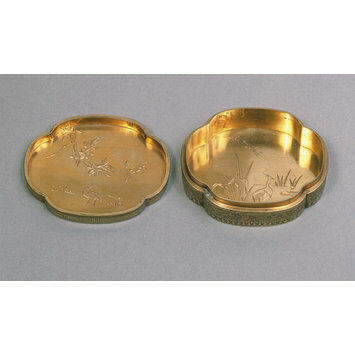 The rims and linings are of gilt brass, the latter being engraved with bird and flower pieces. The borders are of vine foliage, key and other conventional patterns. Iron box with cover made by Komai.